I was all about being cultured this week, if I do say so myself. 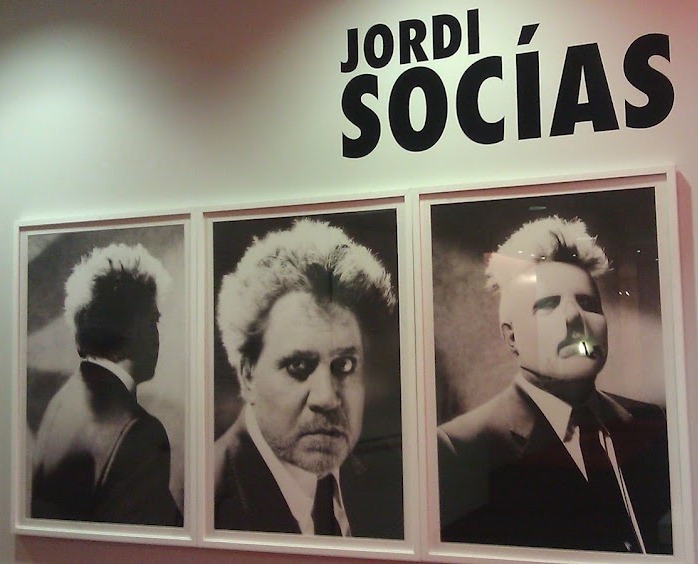 On Tuesday, I ended up at Instituto Cervantes for the opening of a new exhibit by Spanish photographer Jordi Socias. I was pleasantly surprised to see most of the shots capture a glimpse into everyday street life or celebrity portraits. And I really liked that they were black and white. As the photographers later mentioned during a panel discussion, black and white photography can often capture emotional moments much more effectively than color can. 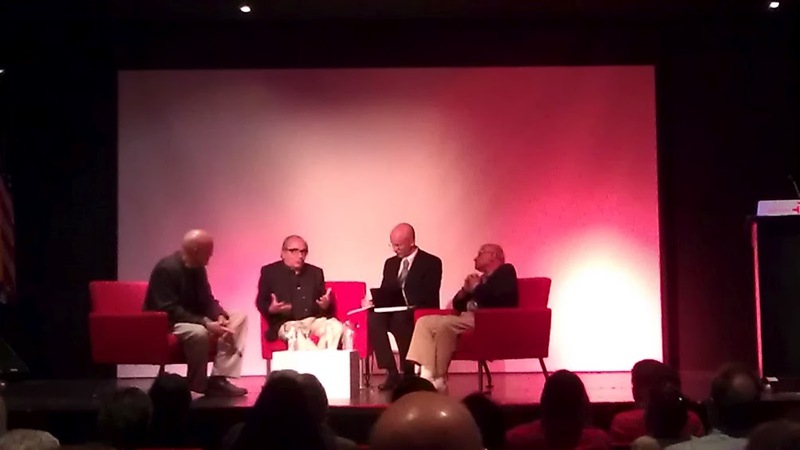 Yes, Socias himself was in Chicago to discuss his role in the evolution of photojournalism. Alongside him was Steve Shapiro, who I learned is another very famous photojournalist, except his area of focus was the United States during the Civil Rights Movement. I hadn’t heard of either photographer before, but was really glad to get to know their work and hear their perspectives on photography as journalism and as art. And my crazy pattern outfits continued. 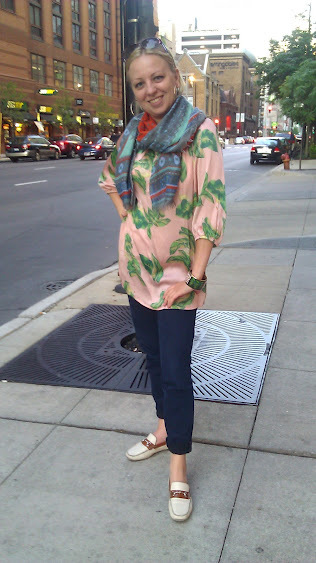 This evening, I wore a pink blouse with flamingos on it, a green-ish paisley scarf and a bracelet with peacocks on it. And what’s an evening of Spanish photography without Spanish food? Naturally, we headed to Cafe Iberico afterwards where I shocked the table by gorging on shrimp, octopus, manchego cheese, patatas, jamon iberico and more. Hey, a girl’s gotta eat.